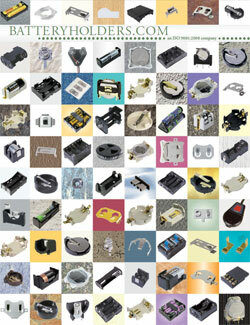 Memory Protection Devices, Inc. (MPD) is proud to announce the launch of our new Battery Holders catalog. The new structure of our catalog intuitively leads users to the best battery holders for their applications. Additionally our new pages allow for search for	battery holders by type of battery held, number of batteries held, and also by styles of termination. The back cover includes information about where to get our battery holders more easily than ever before with complete contact information.